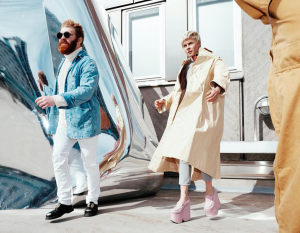 Swedish pop goddess Robyn is back with brand new music, this time as part of a collaboration with Markus Jägerstedt and the late Christian Falk. Debuted on Annie Mac’s Radio 1 show in the UK on Friday, ‘Love Is Free’ is the first taste of a new mini-album that the team at local label Inertia tells us is scheduled to be released in the next couple of months. More experimental than commercial, the single is incredibly reminiscent of the sounds of the early ’90s, when bands like Technotronic were ruling the airwaves. The single is available now. Listen below.